Lesser known but by no means less important, this article gives an honest insight into Income Protection Insurance. Taking into account both its advantages and disadvantages, this will give you a better idea of whether it’s the kind of cover you need. Income protection Insurance does exactly what it says on the tin – It protects your income if you were unable to work due to injury or illness. It provides tax-free monthly installments that are designed to compensate for the income that you would receive if you were able to work. Like most protection policies, the level and duration you’re covered for is determined by you. However, this cover has another, unique advantage – you decide when you want your payments to start. Known as the deferral period, this affords a higher degree of flexibility so that you can account for any other benefits, such as employee sick pay, that you may receive during this time. 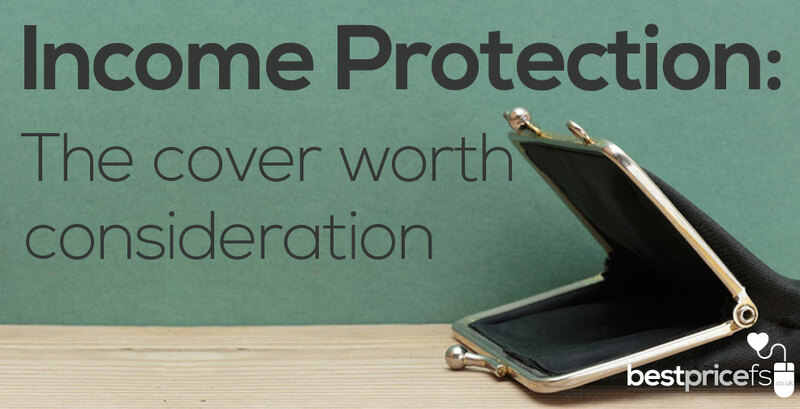 In recent years Income Protection Insurance has shied away from the limelight, letting other protection policies like Life Insurance and Critical illness cover take centre stage. But there’s little reason why it should: recent research by the Centre for Economics and Business Research (CEBR) found that every year, over 300,000 people are forced to leave employment due to illness or injury. And when you consider that less than a quarter of employers provide any real sick benefits (Swiss Re, London Insurance Report 2013), these statistics really do emphasise how important this insurance is. A comprehensive report by Legal & General estimated it would take the average UK household approximately 26 days without an income to reach the breadline – the point at which the household is left reliant upon friends, family and state support. This is a figure made all the more frightening by CEBR’s findings that the average time spent on long term sick leave is approximately 7 years – a long time indeed to be reliant on others for support. Having Income Protection Insurance provides a welcome alternative, guaranteeing that in times of ill-health, financial provisions are in place. This can ensure that your time off can be spent focused on getting better and not worrying about how you’re going pay the bills. And more crucially, when you are back in work, this can help make sure you won’t become a slave to your job just to pay-off your debts. The life assurance industry is saturated with protection products all offering slight variations on a theme. Broadly speaking, there are three main contenders: Life Insurance, Critical Illness cover and Income Protection Insurance. Whilst there are merits to all of these products, prioritising which cover to get can prove difficult. Consumer organisation Which? found that 41% of people had life insurance, whereas just 9% had Income Protection, an unexpected finding when you consider we are four times more likely to develop a critical illness than die by the age of 65. Arguably, Income Protection can be seen to offer more salient rewards when compared it its protection counterparts. Unlike life and critical illness policies which only pay out once, most long term income protection policies will pay out as many times as necessary. More positively too, unlike Life Insurance payouts, the monthly installments can be enjoyed by all the family, you included. With Income Protection Insurance, you’re more likely to claim on your policy and so naturally, these premiums can be a little higher than other protection policies. Fortunately though, this cover does provide more scope to lower the price of your premiums; delaying the deferral period and buying through a discount broker can decrease your monthly spend. In light of these benefits, Income Protection may have an advantage over other types of policies. For the sensible and extensive cover it provides, along with tangible benefits, income protection insurance is a policy worth consideration. Discount Broker Best Price FS allows you to compare, research and buy Income Protection Insurance from the UK’s leading providers. Their flat fee, commission free route is the most affordable way to to buy Income Protection Insurance Online.